WHEN an eight-year-old girl goes missing, the bonds between a mother and her daughter will be tested almost beyond endurance. Prepare to be hooked, haunted and utterly seduced by a highly original and psychologically adept debut novel which is as surprisingly tender as it is dark and unsettling. Kate Hamer plays intriguing and extraordinary mind games in this teasing tale of child abduction which should, by its subject matter, be deeply disturbing but instead moves us with its piercing insight and unexpected charm and elegance. Eight-year-old Carmel Wakeford from Norfolk has always been a bit of a dreamer, a girl with a sense of other worldliness whose strange ‘absences’ are a worry for her newly divorced mother Beth. Carmel, on the other hand, fears her mum is becoming ‘a spy.’ It makes her long for ‘some peace’ so when they both visit a storytelling festival, Carmel soon gets lost in her dream world and refuses to answer her mother’s calls. When she is found by a man who claims to be her estranged grandfather, he tells her that her mother has had an accident and that Carmel, the missing girl who doesn’t know she is lost, must go to live with him until her mother recovers. And all the time Beth lurches from desolation to hope, making wild plans for Carmel’s return, including sealing up cracks in the house, installing gates with thick golden chains and a garden wall that reaches to the rooftops… so that Carmel can never again escape. 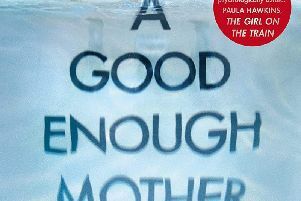 Hamer brings added power and pathos to this tension-packed story with an emotion-charged dual narrative which alternates between mother and daughter. Beth’s raw angst is played out alongside Carmel’s innocent bewilderment, the ‘silver threads’ of their memories providing light and hope in the darkness of separation. The Girl in the Red Coat is a remarkable reading journey during which we meet menace and misery, hope and despair, recrimination and redemption. Add a frisson of the supernatural, an ominous sense of unpredictability and an achingly beautiful depiction of love and loss, and the result is a novel that grips from start to finish.